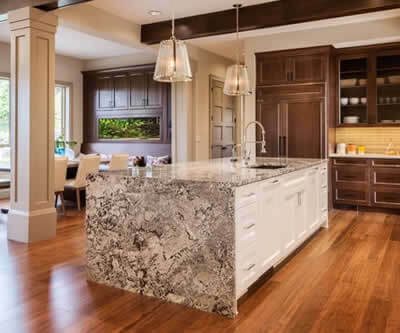 Are you looking to install granite in your home? Then you need Extreme Granite for all your granite solutions. When it comes to granite countertops there is no better company than Extreme Granite to purchase your granite from. 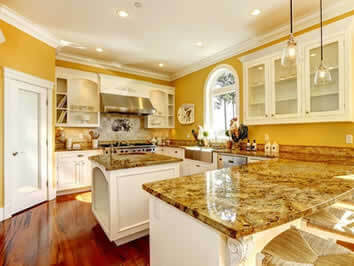 You have made a good and wonderful decision to purchase granite for your kitchen or bathroom. So, with that decision to purchase granite from us, you get your stone from a leader in the stone products industry― Extreme Granite. Timelessness – Granite is beautiful. It is not a trend, but a real timeless beauty (its use goes back to ancient Egypt). Uniqueness – No two pieces of granite are the same. Veining patterns, specks, swirls, and pitting all vary. 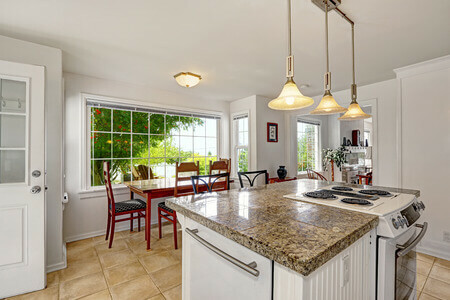 Increases your home’s value – Granite is expensive, but it will add value to your home when you go to resell it. Granite is sanitary – Granite is clean. It doesn’t harbor bacteria and is a sanitary top. Granite maintains its beauty for years – Granite stays beautiful and in good shape by applying a sealer, approximately once a year. Granite can be repaired – You can repair the stone if you need to. So your countertop stays looking good all the time. Granite is a versatile stone – One of the biggest benefits of granite countertops is that they can be formed into any shape that you like. Granite can be cut into curves, arches, squares, ovals, 90 or 45 degree angles, special routered edges and the like. 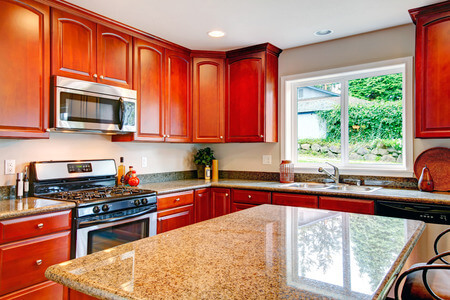 Granite is durable – A strong stone, Granite can chip, but it can also usually be repaired by a professional. 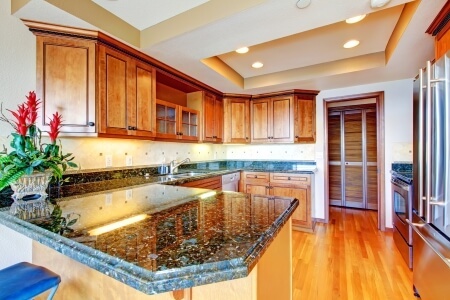 Another one of the bigger benefits of granite countertops is that they are hard to scratch. You can actually cut on your granite countertop. Granite is good for those on a budget. 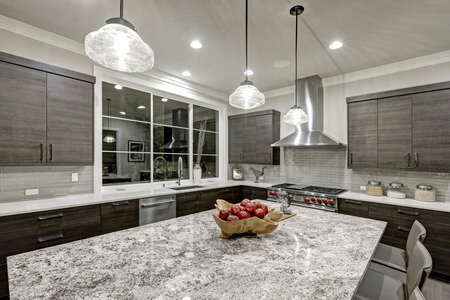 Though granite is usually sold in the 1-1/4” thickness, there are some companies making granite countertops where the granite is only a 1/4″ or so thick, then mounted to a substrate board (like fiberglass). This allows for those on a tighter budget to have granite countertops. Granite can go where you go – If you’re the outdoorsy type, and if you are thinking about adding a bar or kitchen area to your patio, where rain and the elements will be a factor, granite can be used outside. Just be sure to let Extreme Granite know that you are planning on using your granite outside in the elements. 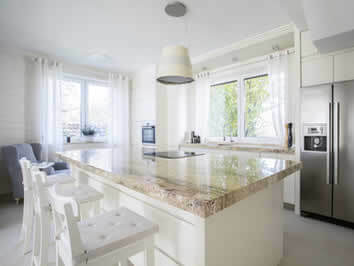 Knowing these benefits of choosing granite for your home and for choosing Extreme Granite to supply, fabricate and install it will give you a home remodeling experience that will make you glad you chose us. There’s no one better with stone products than Extreme Granite. You can visit our Troy showroom or just call us today for a free in-home estimate. We are Extreme Granite and we can do it all.